Click here to view other PhD studentship opportunities at Royal Central School of Speech & Drama. 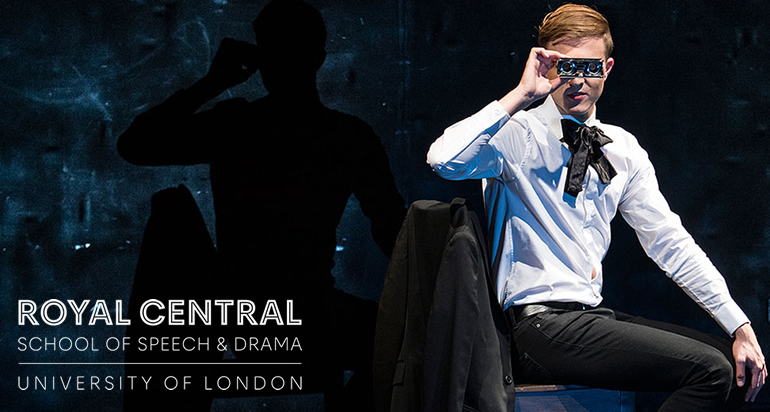 PhD study at Central provides the opportunity to engage with an area of drama, theatre, scenography or performance in depth and at the highest level of scholarship. Research at Central takes place in a lively and rigorous environment where advanced thinking, laboratory-style exploration and cutting-edge practice all go hand-in-hand. Our culture is one of enquiry, innovation and experimentation where staff and students alike are engaged with new and pioneering ideas and practices, and seek to understand these within a wider field of performance and cultural production. A student’s eventual PhD submission may be a single and sustained written thesis, or it may feature practice-based presentation(s) alongside a written component to the thesis. We believe that research into our disciplines often involves exploration in, and through, the media with which we are concerned. Such activity always has its contexts, and Central’s academic staff are expert in drawing connections between exploratory practice and advanced conceptualising, process and product, making and articulating. We also have a strong tradition of text-based academic scholarship in drama, theatre and performance. As a specialist Centre of Excellence in Theatre Training, Central is pre-eminent in the UK with regard to the industry-specific facilities which support research through practice. These specialist facilities are at the forefront of what is available in the university sector. Central is an obvious home for such research. We have extensive connections with all sectors of the theatre industry, as well as expanding international links. We are well positioned to facilitate practice-based research by virtue of our high-specification performance and rehearsal spaces, design studios, workshops, technical infrastructure and specialist support staff. As a college of the University of London we continue to build bridges between leading-edge practice and advanced academic enquiry. Central is also committed to enhancing the professional development of its researchers as future academics in the field. In addition to seminars on research skills and methods, we run both a series of professional development sessions and a pedagogies unit that teaches the core skills needed for careers in HE, as well as providing opportunities for teaching on MA and BA courses.